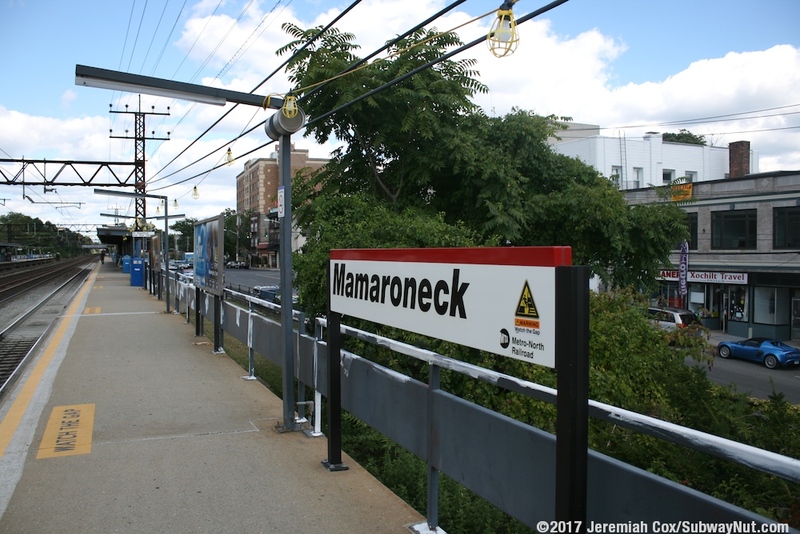 Mamaroneck is a New Haven Line Station with a historic circa 1888 Romanesque revival depot. 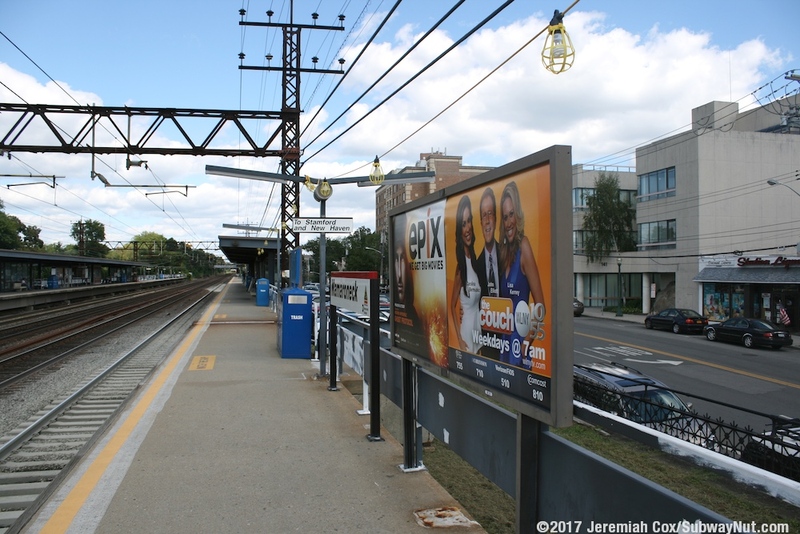 According to a sign posted for Westchester's Tricentennial in 1983, the station is the second oldest depot on the New Haven Line. 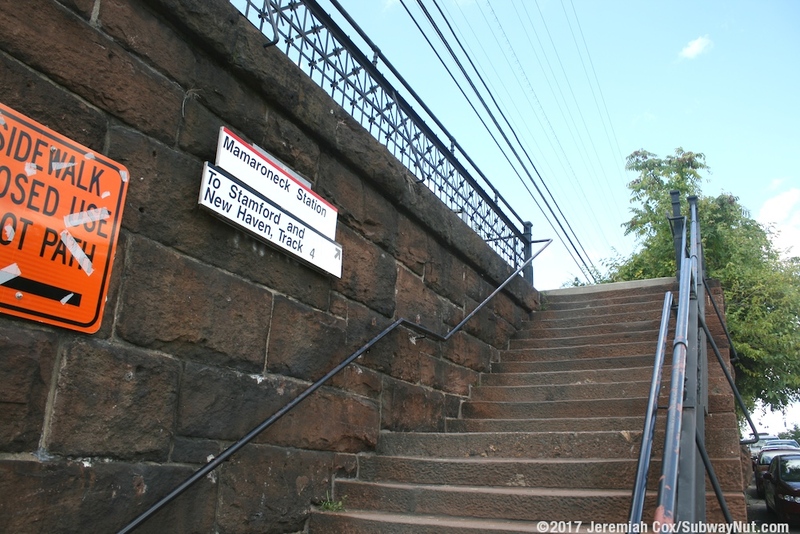 The historic depot housed a ticket office and was open as a railroad depot until October 9, 2007 and subsequently sold by Metro North Railroad. 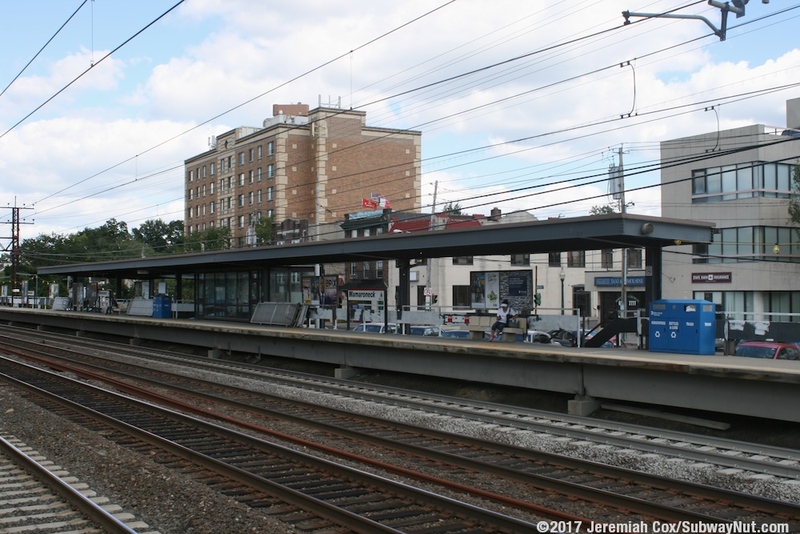 Today the restored depot houses a restaurant Modern on the Rails, which was formerly named Club Car with the upper level housing office space. 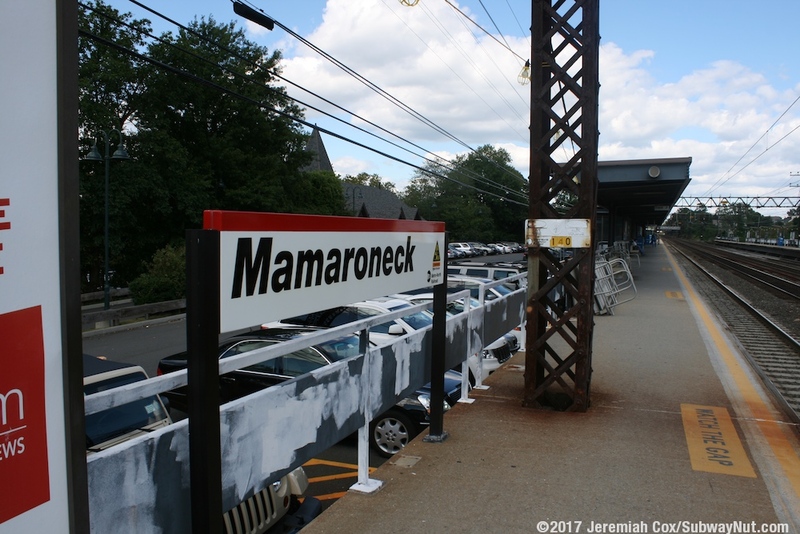 As of 2012 a small sign near the doors still reads "Tickets Mamaroneck." 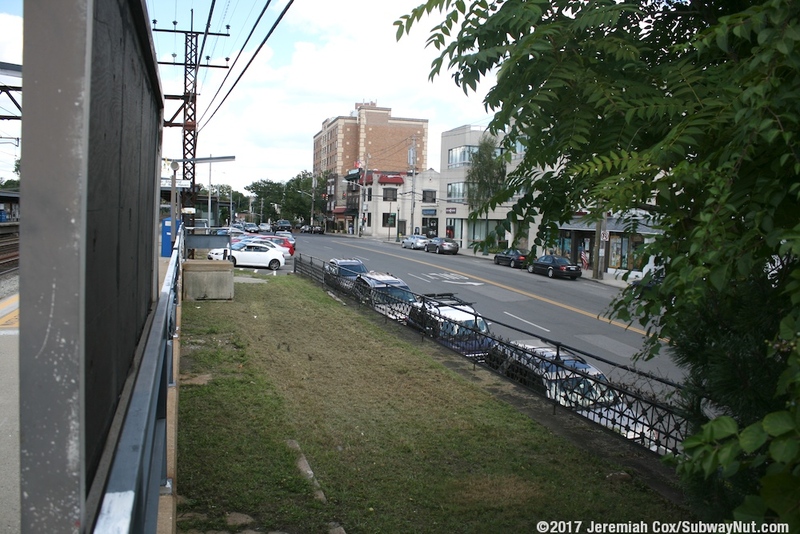 There is about 30 feet of space between the depot and the modern 4 track railroad line with two side platforms. 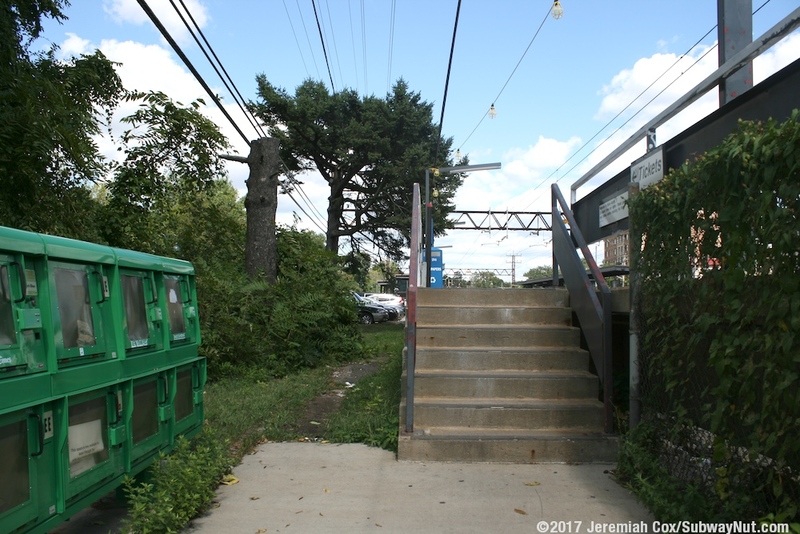 This area now contains parking, accessed from the end of Hoyt Avenue. 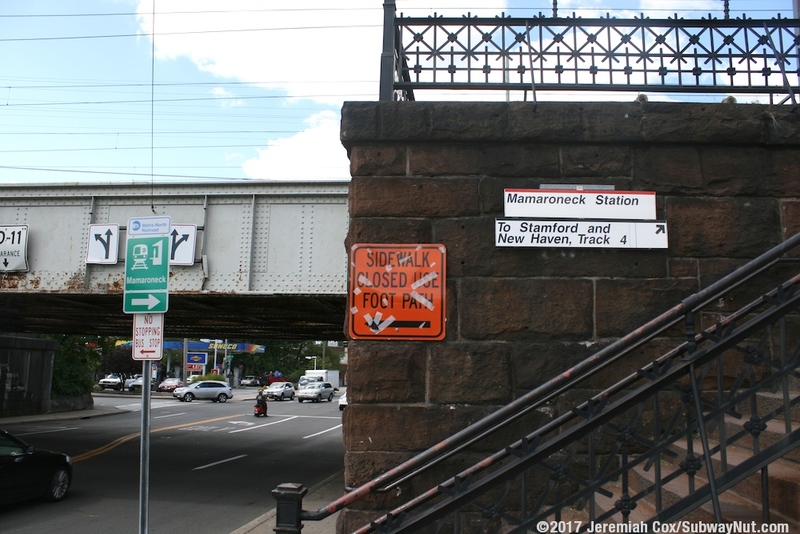 This is because in the 1920s the depot was moved away from the New Haven Railroad line to its present location when the New York, Westchester and Boston Railway (a portion of this railway in the Bronx remains in service as the 5 train's Dyre Avenue line) opened its line to Mamaroneck which subsequently closed in 1937. 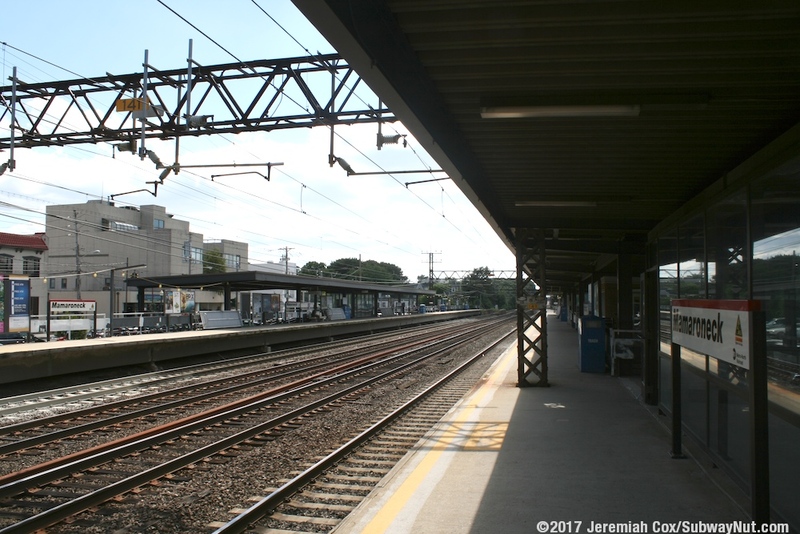 Its former tracks and platforms have been replaced with parking areas. 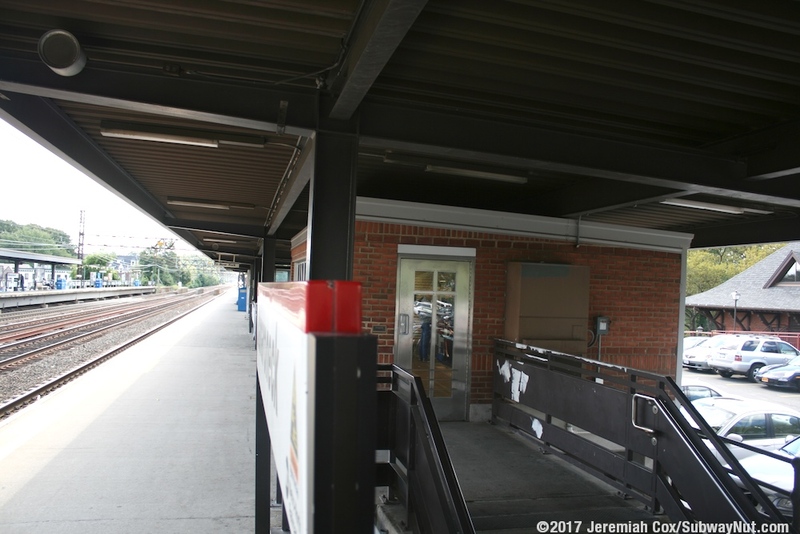 Connecting the lower level of the depot (doors lead directly from here to the restaurant) with the station platforms is a historic pedestrian tunnel. 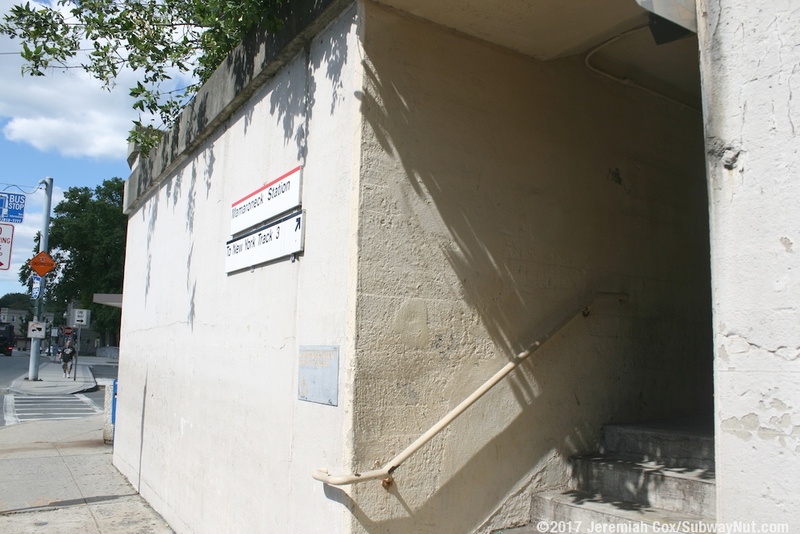 This pedestrian tunnel leads out (with some unwanted historic wooden benches now stored at the start of the tunnel) to two staircases up to an area at street-level near the Grand Central-bound platform, and at the opposite end to the Connecticut-bound platform. 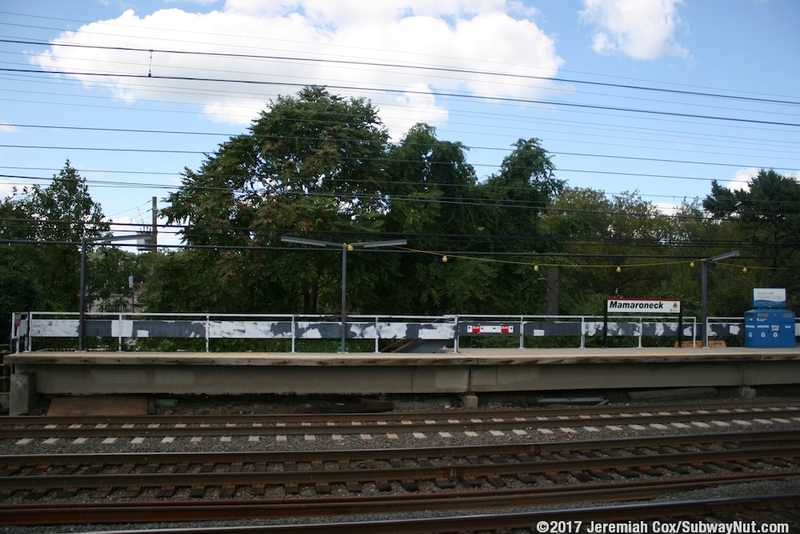 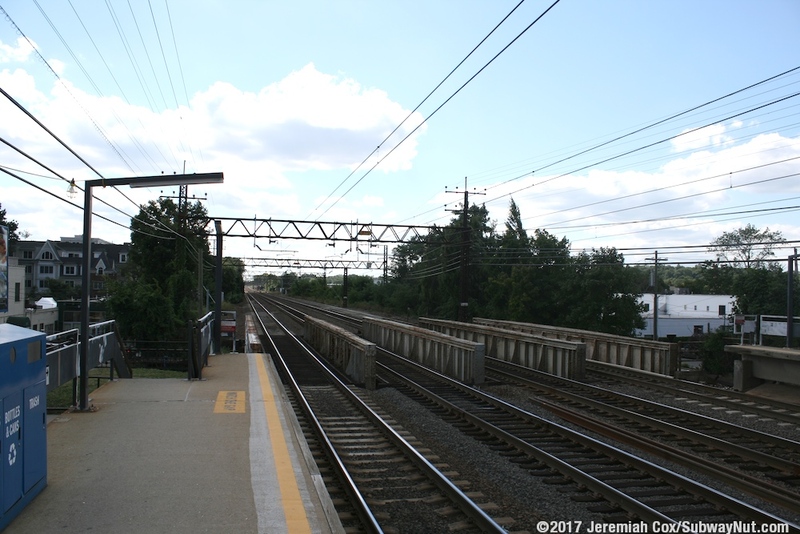 The two platforms begin just north of the railroad bridge over Mamaroneck Avenue. 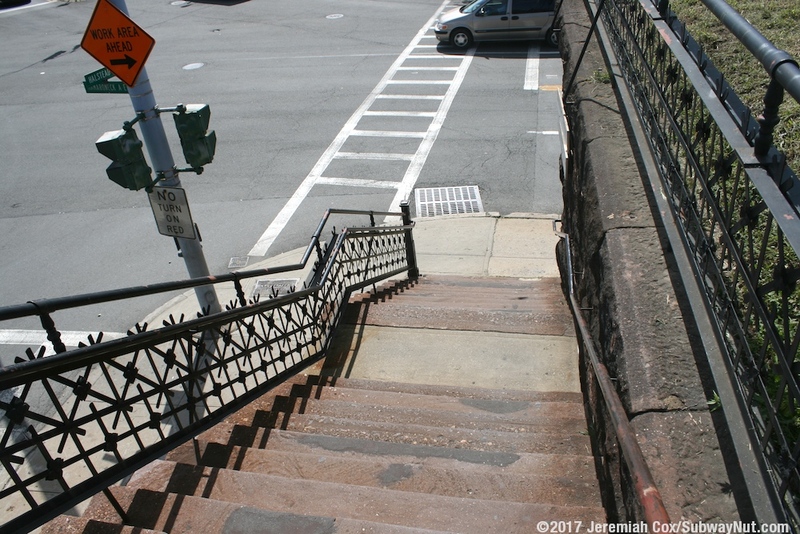 A historic staircase leads up each platform via an intermediate landing where the start of the low-level platforms were until the requirement of high-level platforms for new Metropolitan Cars in the 1970s. 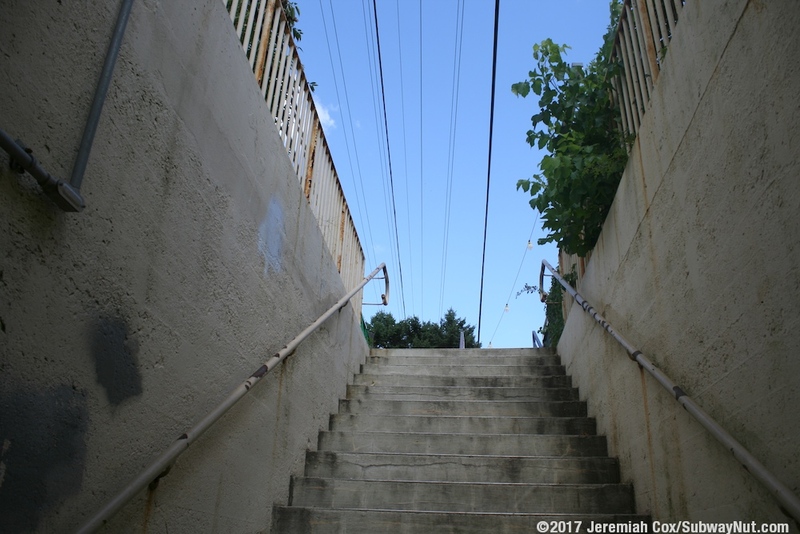 They end just before the tracks pass over a double-culvert, held up by brick arches. 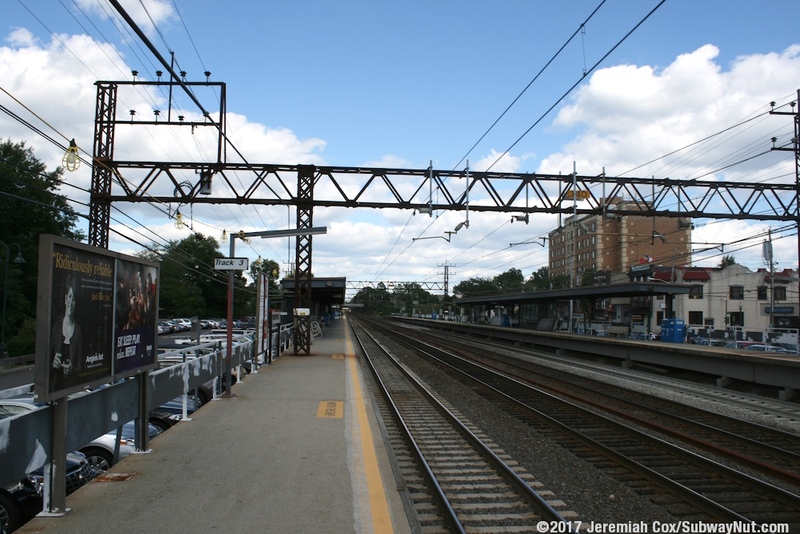 The two platforms are quite simple with canopies over their midsections, the Grand Central-bound platform's is slightly longer. 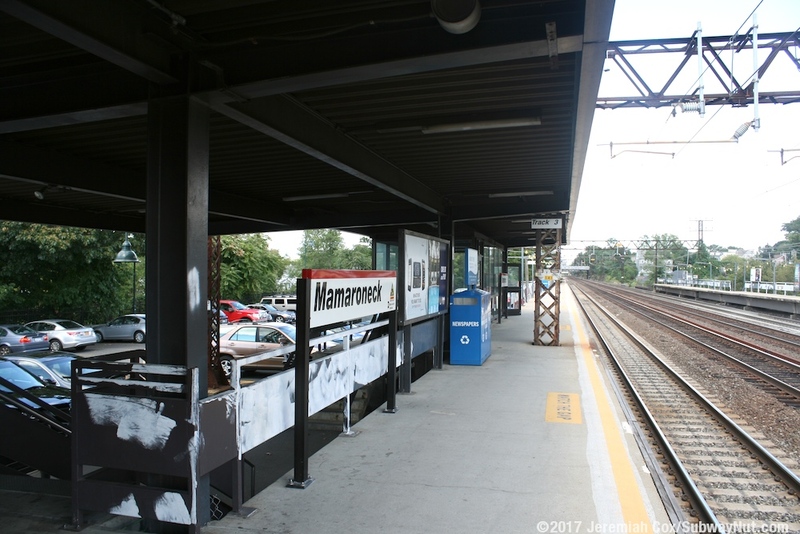 Each has a simple enclosed waiting area, the Connecticut-bound platform's is simply a black with glass shelter, the Grand-Central-bound platform also has one of these plus a second more substantial one with brick walls, and houses a bench opposite the station's TVMS. 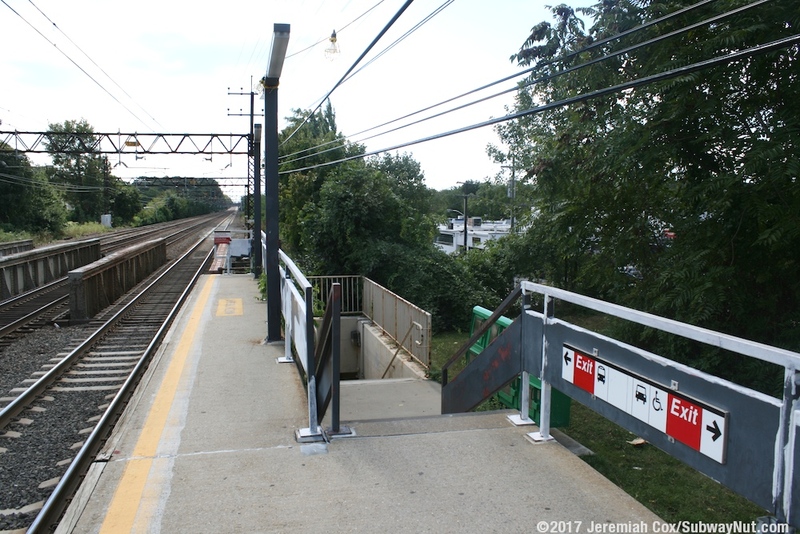 Each platform has a ramp up to it, but no accessible connection except for rolling down local streets between the two platforms. 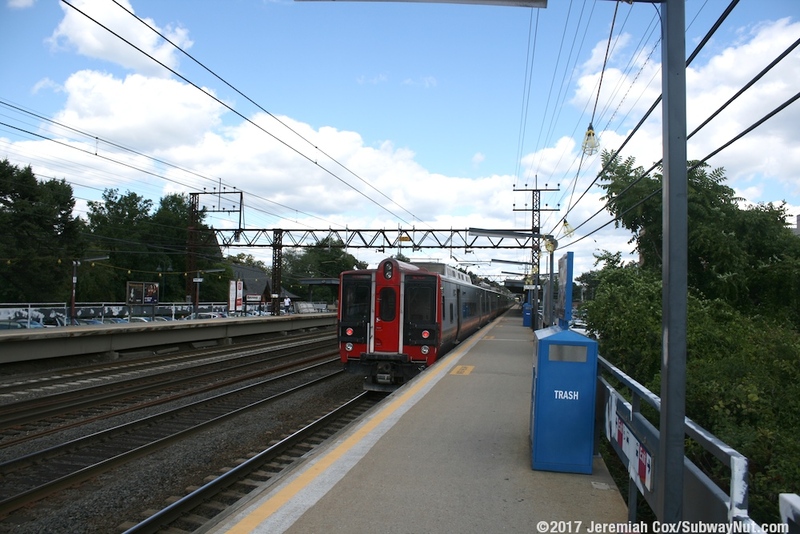 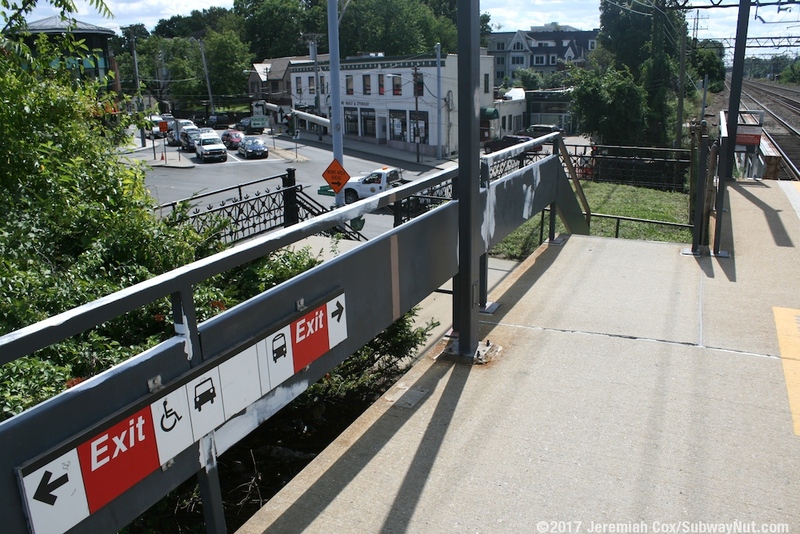 The Connecticut-bound platform leads out to Halstead Avenue and a small shopping district in Downtown Mamaroneck around the station.